Kiev has a population of 2.5 million inhabitants, and was one of the first Russian states. 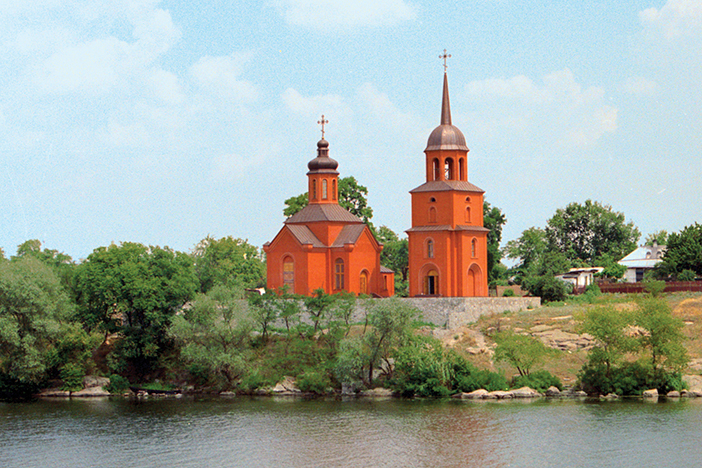 Some of its attractions are St. Sofia Cathedral, and the Vydubitski Monestary. Odessa is a curious mix of enticing seaside holiday retreat and polluted industrial port. Long the shipping centre of the Black Sea region and the major urban centre of southern Ukraine, the city is famous for its role in the 1905 revolution, when the mutinous battleship Potemkin Tavrichesky supported rebellious workers. Today it’s best known for its excellent collection of museums. The city centre is a few hundred metres south-west of the waterfront; it’s filled with beautiful low-rise buildings and tree-lined streets, and is home to the elaborate and famous Opera & Ballet Theatre. Dating from the 1880s, the theatre was designed by Viennese architects who gave it a Baroque cast with a Renaissance twist. Nearby is the Pasazh, a lavishly ornate shopping mall built in the late 19th century, boasting rows of Baroque sculptures. Zaporizhzhya, also called Zaporozhye, located in southeastern Ukraine, is the capital of Zaporizhzhya Oblast’, on the Dnepr River. Population (1990 estimate) 891,000.